This is our final look at a John Carpenter film and it’s a good one. There are so many directions analyzing this film could take, but I choose to look at Intertextuality. This is when a text is influenced, inspired, or otherwise informs another text. It can take many different forms like the use of allusions, quotations from another text, some parodies are intertextual as well as outright plagiarism. In the Mouth of Madness, while an independent story, pulls heavily and obviously in a kind of homage from the works of horror story writer H.P. Lovecraft. 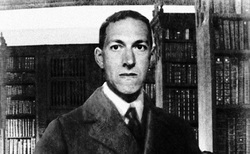 Lovecraft created a series of stories that has come to be known as The Cthulhu Mythos. Other writers have added their spin on these monsters and stories through the years and have thus added to the Mythos. In the Mouth of Madness is Carpenter’s addition to this growing Mythos. This is done through references to the “Old Ones” by the character of Sutter Cane in the film as well as actually realizations of the monster in the film…all inspired by Lovecraft stories. Being a close friend of Stephen King, Carpenter couldn’t resist some intertextual allusions to King. His writer in the film is named Sutter Cane…kind of obvious and several times in the film Cane is compared to King, even though it is made clear that cane is a MUCH better writer than King. At the beginning of this month I blogged about Carpenter’s film version of the Stephen King novel Christine. So the references are intentional and hilarious. So, can you enjoy a story without knowing or catching all the intertextual references and influences…of course. 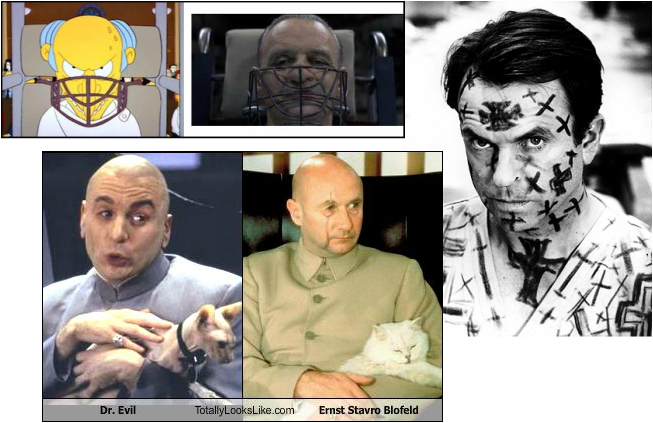 It just goes to show that influences are almost ubiquitous if not obvious. What influences can you see in a text?